Inductive load: power factor more than 0.4 (AC), time constant 7ms below (DC). Lamp load: load with a current equivalent to 10 times the constant current. Motor load: load with a current equivalent to 6 times the constant current. Note: inductive load is particularly important in DC circuits, so the value of time constant (L/R) must be fully understood. 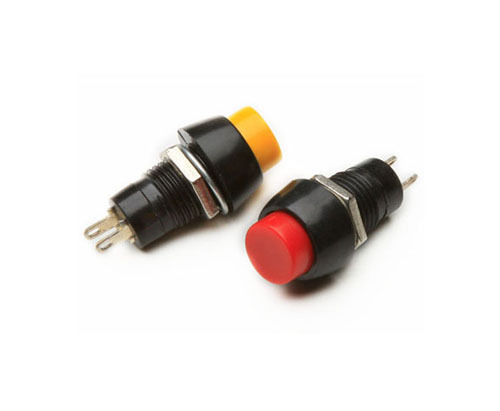 Looking for ideal Mini Vertical Push Button Switch Manufacturer & supplier ? We have a wide selection at great prices to help you get creative. All the Flat Momentary Push Button Switch are quality guaranteed. We are China Origin Factory of Bracket Momentary Push Button Switch. If you have any question, please feel free to contact us.